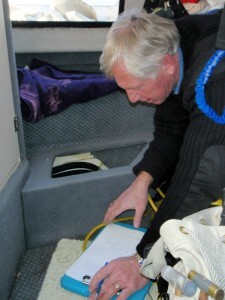 Hiring a marine surveyor could be the single most important task to manage when buying a boat. 1. The only good survey is a current one: Relying on an old survey is a bad idea. The marine environment isn’t nice to boats and sometimes a “little” maintenance issue can quickly turn into more serious problem. If you need to have the boat insured, you’ll usually need a survey less than six months old – after that, it begins to smell like dead fish. 2. Don’t miss your own survey: Just like your wedding, you need to be there. Attending and asking questions will reap reams of information about the boat you’re buying, and most surveyors are happy to talk about what they are finding and what needs to be done to fix things. 3. Experience trumps price: Don’t select a surveyor on price alone. It’s important to find one that has experience on your type of boat that can tell you what you need to know. Surveyors who are members of the Society of Accredited Marine Surveyors (SAMS) or the National Association of Marine Surveyors (NAMS) are wise choices as these professional organizations have certification processes and provide educational training. 4. It’s not pass or fail: A survey is only a guide to determine if the boat is acceptable to the buyer. An insurance company may also use it to provide a list of corrective actions needed to provide coverage. 5. Surprise, surprise: Boats are a series of complex systems and even brand new boats sometimes have recommendations from a surveyor. The difference is that with new boats, corrective actions are often taken care of through the builder’s warranty. 6. Use the survey to negotiate: Surveys include an approximate fair-market value for use by lenders and insurance companies. If the numbers warrant it, there’s also nothing wrong with using this value in an attempt to negotiate a better deal with the seller. 7. A survey gives you a great punch list: A survey can guide planning for upgrades, repairs and help you prioritize. 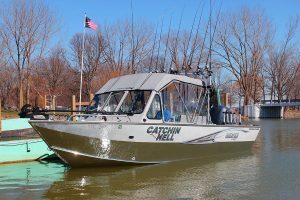 For a list of surveyors and more boat buying information such as sales contracts, sea trials, and boat prices, go to BoatUS.com/surveyandseatrial.